This weekend, the Canadian Fed Cup team will be taking part in a World Group II first round tie against the Netherlands. Before we preview what to expect from the matches, let’s take a look back at how Team Canada got here. One year ago, the team touched down in Romania to take on an experienced and higher ranked Romanian team. Led by Bianca Andreescu, the young Canadian delegation were unable to keep pace with a higher-ranked Romanian team, losing the tie by a score of 3-1. 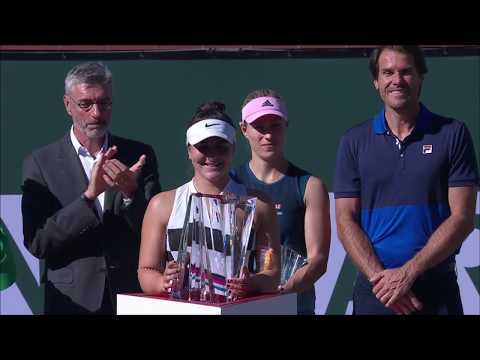 Andreescu and Carol Zhao each dropped their singles match on the opening day, while Katherine Sebov’s loss on day two secured the victory for Romania. The Canadian squad did, however, manage to win the final doubles rubber, led by two-time mixed doubles Grand Slam champion Gabriela Dabrowski. This was a great learning experience that would later serve them well. After failing to qualify for a spot in the World Group I play-offs, the Canadian team needed a win in order to remain in World Group II. They were drawn against a tough opponent, Ukraine, a nation with a depth of talented players. Once again, Canada went into the tie as the underdogs. The tie started in dramatic fashion, when Lesia Tsurenko notched the first point for her country after Bianca Andreescu had to retire due to severe cramps. Genie Bouchard’s two wins brought Canada the lead. After Gabriela Dabrowski was unable to defeat Kateryna Bondarenko in the fourth singles rubber, it all came down to the fifth and decisive doubles match. In a thrilling conclusion, the duo of Andreescu and Dabrowski captured the win for their country. It is another young team going into this weekend’s tie. If the girls are successful, they will secure a spot in the World Group I play-offs, with a chance to enter the illustrious World Group I in 2020, a place they haven’t been since 2015.